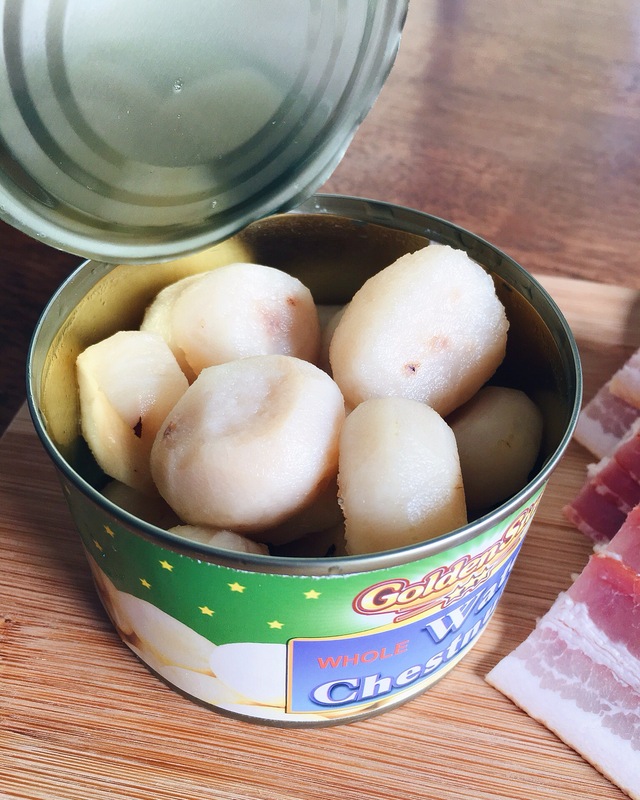 You’ll begin with a can of whole water chestnuts, each can has 16 water chestnuts. 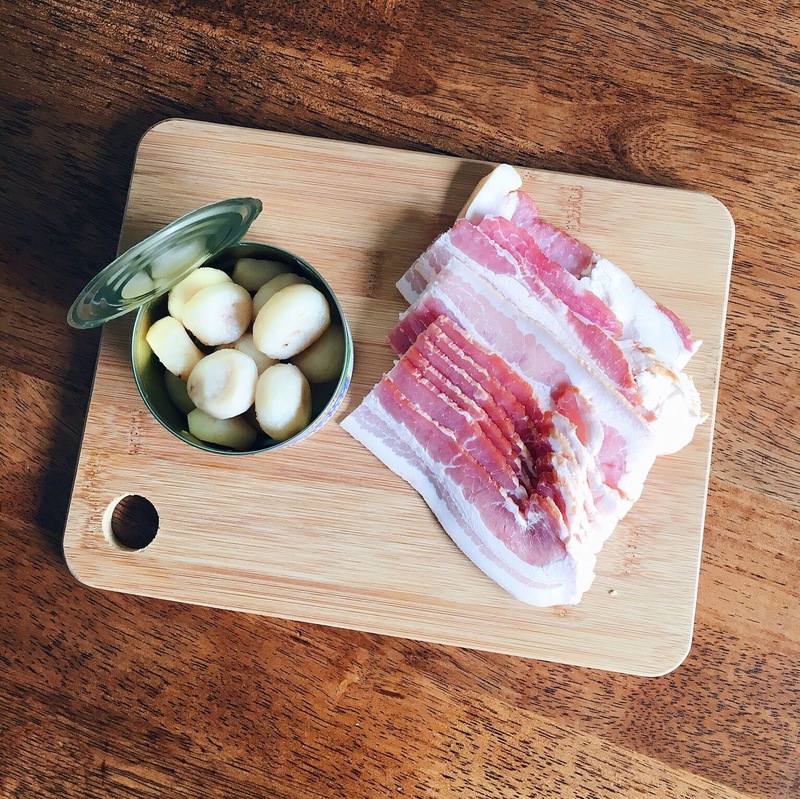 Then some thin slices bacon gets cut in half crosswise. 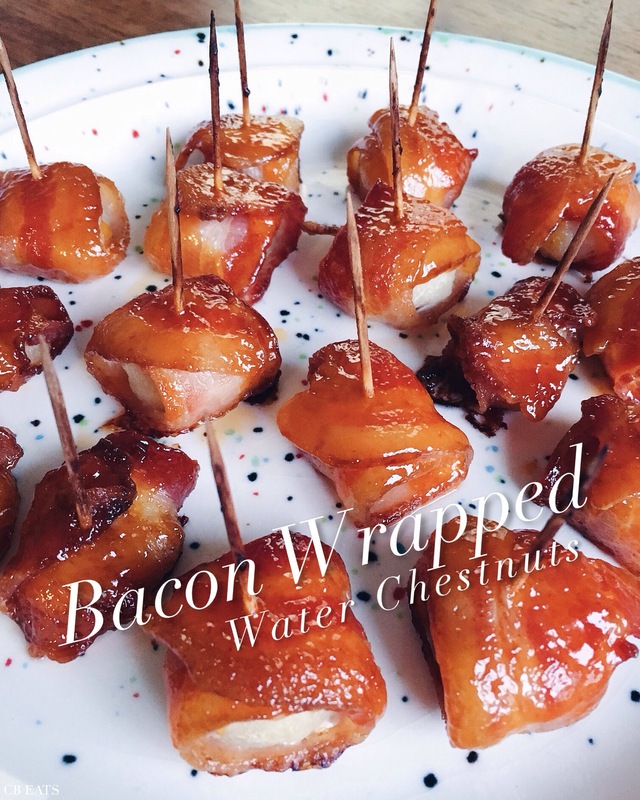 Wrap each water chestnut with a piece of bacon and secure with a toothpick. All wrapped and ready for the oven. 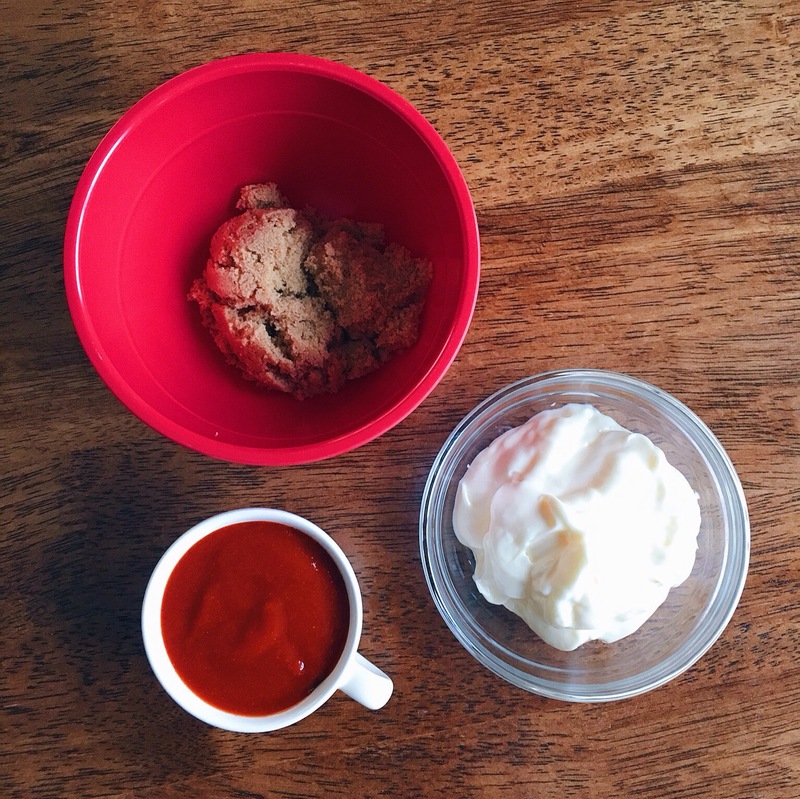 While they’re baking up, it’ll be time to mix up the sauce of Sriracha, mayonnaise and brown sugar. 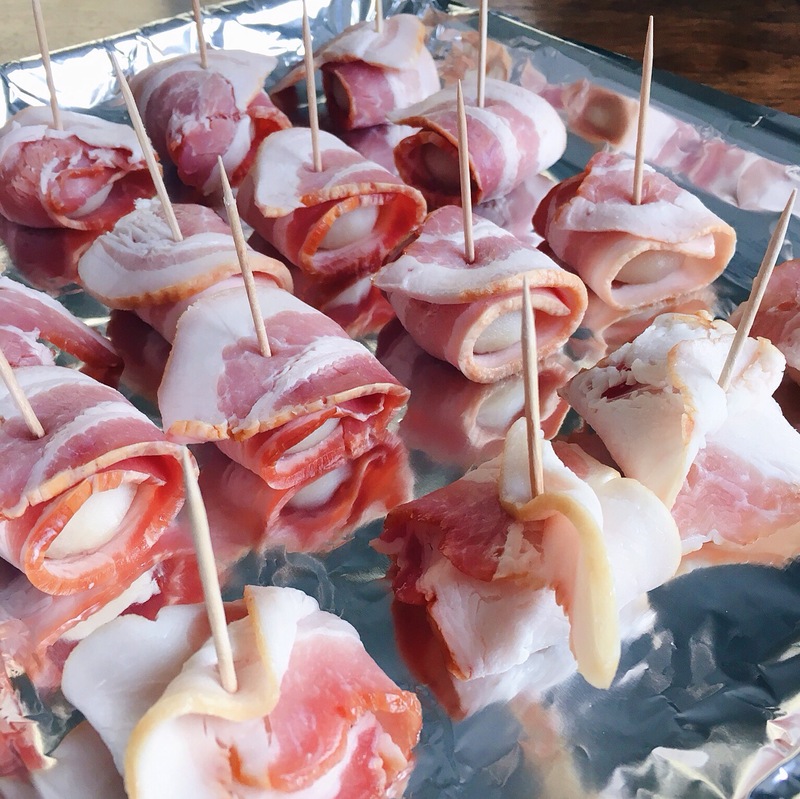 When the bacon wrapped babies are almost done baking you’ll brush each with the sauce and let them bake a little longer letting them get crispy and caramelized. Oh yes! Try your best to not eat them all by yourself 😉 I promise they’ll be a big hit at your game day party! Line a baking sheet with aluminum foil and spray with cooking oil. 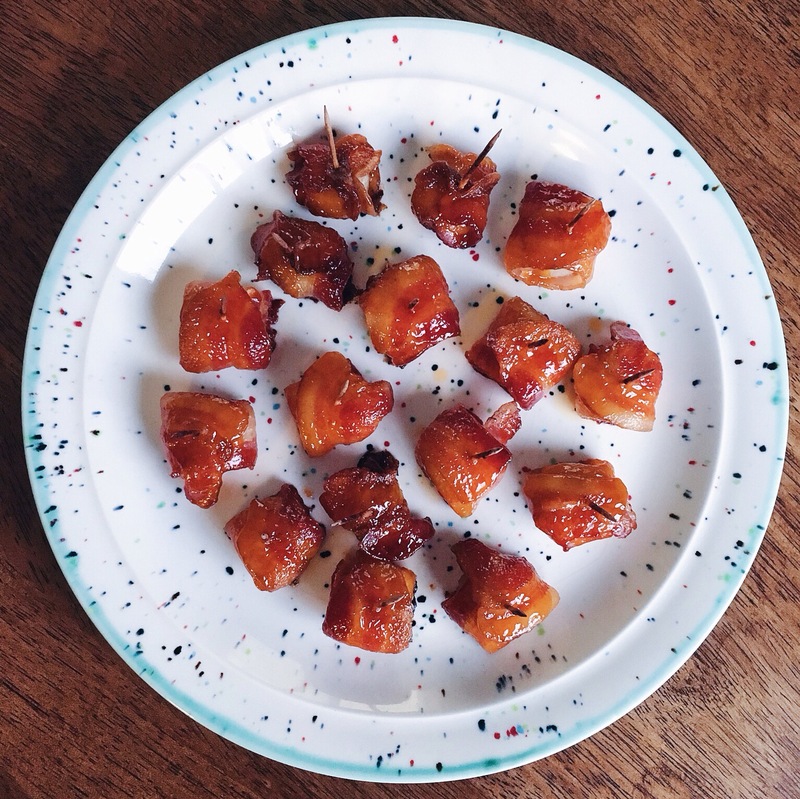 Wrap each water chestnut with a halved slice of bacon, securing on top with a toothpick. 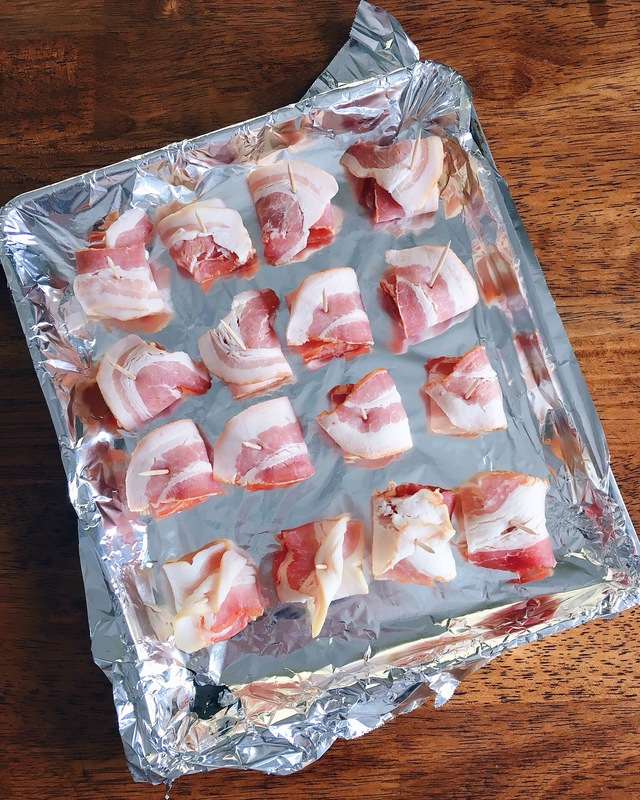 Place each bacon wrapped water chestnut on the prepared baking sheet. Once the oven is hot, bake them at 400º F for 30-35 minutes. 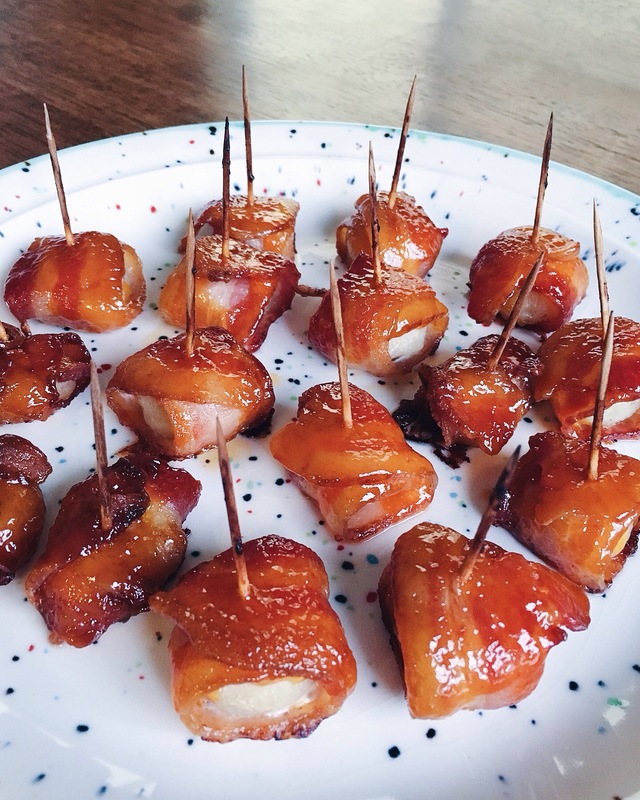 While they’re baking, mix together the sriracha, brown sugar and mayonnaise. 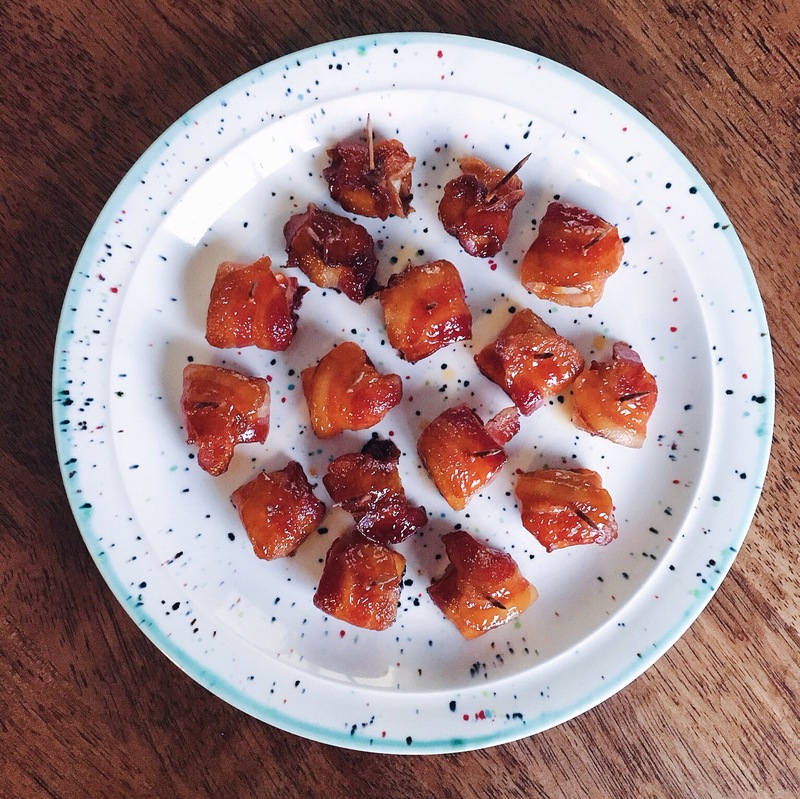 Once the time is up for the bacon wrapped chestnuts, pull them out and brush or spoon the sauce onto each one, then place back in the oven for another 5-10 minutes until they are browned and crispy. Remove pan from oven, and place them on a serving plate, enjoy hot. Hope you enjoyed this recipe and have a wonderful Sunday! It’s sunny here and a whole 40 degrees, and I am considering going out for a walk and maybe a little yoga later. 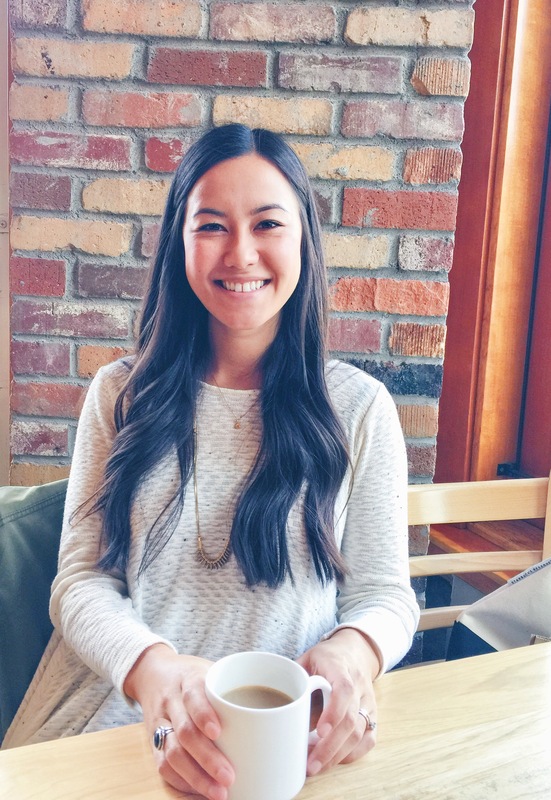 If you give this recipe a try leave me a comment and let me know what you think! Next > Change is a good thing!